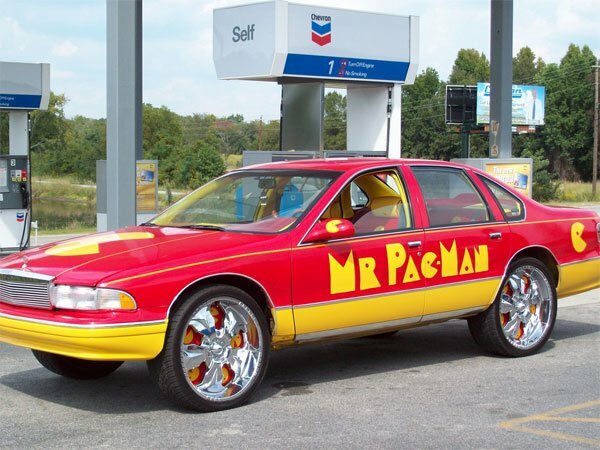 Seen on the streets of southern Georgia, this Mr. Pac-Man car is definitely a looker. Actually, that’s Mr. Pac-Man to you, sir. 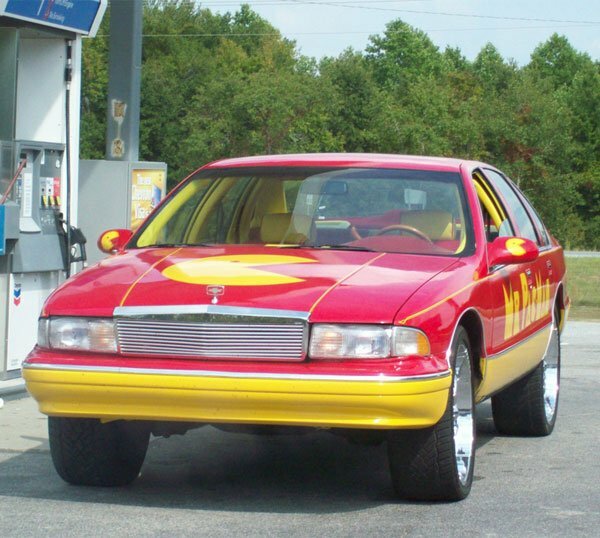 This over-the-top red and yellow 1996 Chrevrolet Caprice is decked out with custom Pac-Man leather seats. 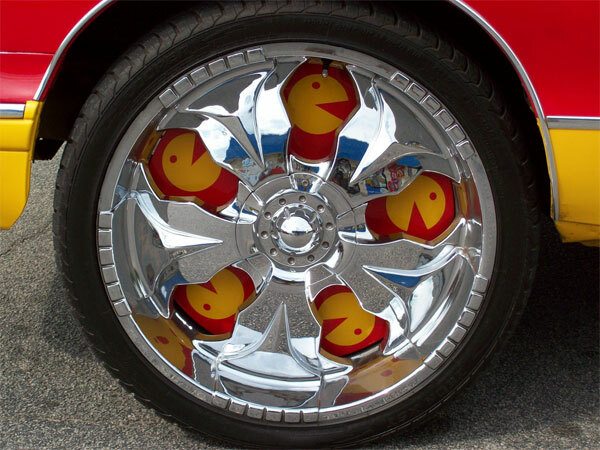 And check out those rims… Mr. Pac-Man is hiding behind the chrome wheels, showing his face over and over again as the wheels turn. 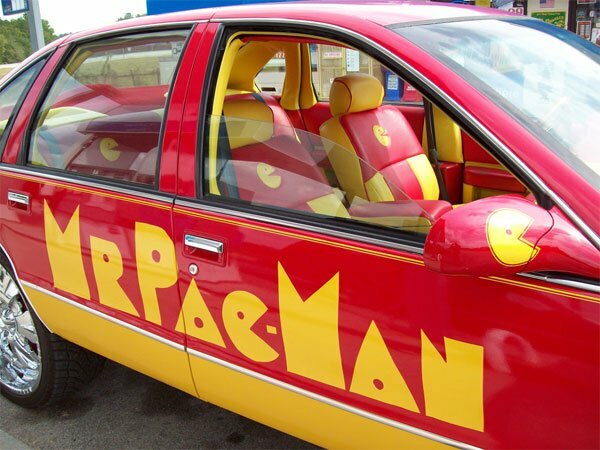 If Pac-Man drives an Caprice, what sort of car do you think that Inky, Blinky, Pinky and Clyde drive? 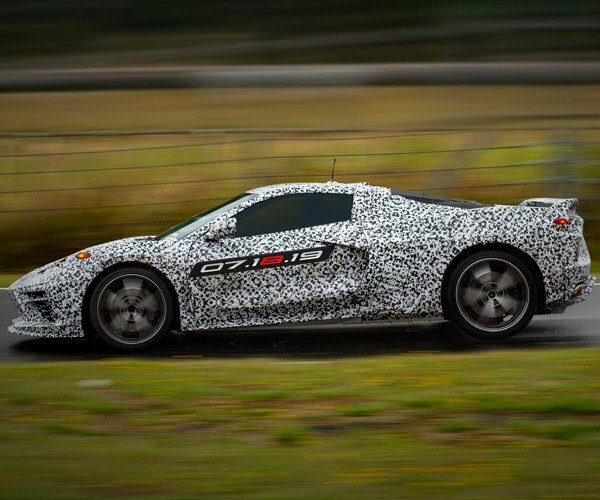 I was thinking maybe they each had an AMC Pacer in their respective color.